At The Law Offices of Daniel A. Singer PLLC, we provide a broad range of legal services to both individuals and businesses with a particular concentration in litigation, business administration and transactions, landlord/tenant law, real estate, and family law. The philosophy of our firm is simple: provide affordable solutions which are hand-tailored to the unique needs of each client. For every matter we are retained, we employ result-driven strategies designed to exceed the expectations of the client. At The Law Offices of Daniel A. Singer PLLC, we are fierce advocates for your cause. With respect to each matter for which we are retained, a strategy is set forth from the outset which is designed to achieve the desired results. 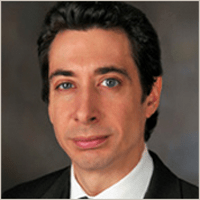 While New York business litigation attorney Daniel Singer has a strong track record of resolving matters out of court, when matters can’t be settled without litigation, he has the skills, knowledge, and experience needed to represent you in court proceedings through trial and, where necessary, in the appellate process. While we are aggressive and zealous litigators, we are sensitive to the emotional and financial toll which the legal process can have on a client and proceed with those factors in mind. Indeed, critical to the philosophy of our firm is the involvement of the client in each and every aspect of the dispute resolution process. At each stage, the client is advised of both the benefits and prospective pitfalls of a course of action so that he or she can make informed choices as to how to proceed. As a client of our firm, you will always be provided with frank and honest counsel- and not merely told what you want to hear- so as to enable you to make the appropriate decisions. While we represent our New York clients in a diversity of matter, we have particular concentration in business litigation (including, by example, actions involving a breach of contract, breach of fiduciary duty, tortious interference with contractual relations, unpaid bills, disputes between business partners, shareholder disputes, limited liability company disputes, trademark infringement, unfair competition, and trade name infringement); real estate and real estate-related litigation (including, by example, landlord/tenant litigation, disputes arising from the purchase and sale of real property, actions involving condominiums and co-ops, property damage disputes, actions involving defective construction, and broker disputes); and defamation (including, by example, libel, slander, and internet defamation). We also represent clients in alternative dispute resolution forums such as arbitration and mediation. One of the most important decisions in starting a new business is choosing the correct entity through which to conduct your business, be it a corporation, limited liability company, partnership, or some other entity form. Our New York business formation attorneys advise clients as to the correct business entity for their specific purpose and prepare all necessary documents relating to the formation and administration of such entity including shareholder agreements, partnership agreements, and operating agreements. Critical to the success of any business is the existence of clearly drafted contracts. We draft, negotiate, and review contracts which are pertinent to the needs of small and medium-sized businesses, including, among others, leases, promissory notes, purchase agreements, service contracts, agency agreements, buy-sell agreements, brokerage agreements, and licensing agreements. We also represent clients in the purchase and sale of businesses. At The Law Offices of Daniel A. Singer PLLC, we are sensitive to the unique stresses involved in being in a dispute with a member of your family. We represent clients in uncontested and contested divorces as well as in proceedings pending in family court such as child custody/visitation proceedings and child support proceedings. At all times, we work in partnership with the client to achieve the desired result while at the same time minimizing the financial and emotional burden which such matters can place on a person. While one may not be able to prevent divorce, there are certain steps one can take to minimize the impact of divorce if it does occur. One of the most important measures is entering into a prenuptial agreement prior to marriage or, if you are already married, to execute a postnuptial agreement. At The Law Offices of Daniel A. Singer PLLC, we draft and negotiate prenuptial and post-nuptial agreements on behalf of clients. Please contact us today for a free telephone consultation with a New York business litigation lawyer. We look forward to hearing from you.